Be Fluxxable! Looney Labs teams up with Cartoon Network to create the most irregular version of Fluxx yet! 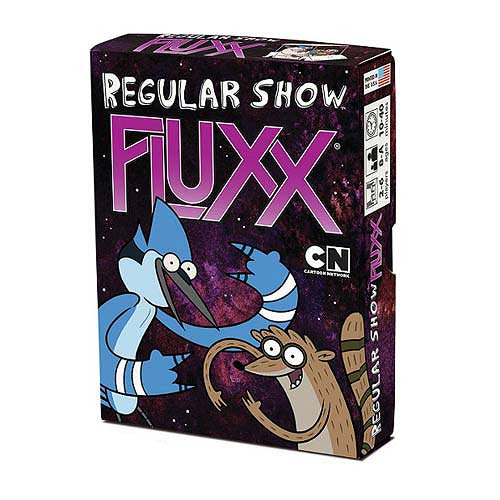 Join Mordecai, Rigby, and the whole gang as you play this Regular Show Fluxx Game! Do your friends a solid and distract the Destroyer of Worlds to save The Park, but don't let Benson catch you doing donuts or you're fired!